This mod fixes the visual issues with bump maps when using Hirez Armors Native Styles V2 with OpenMW. 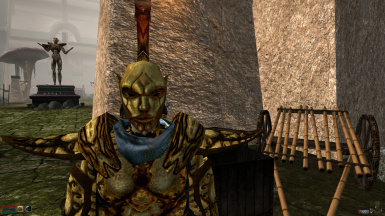 When using the HiRez Armors Native Styles patch with OpenMW, some armors have wrong shining effects because of the way OpenMW uses bump maps differently than the Morrowind Graphics Extender. This mod fixes the issue. It includes only the affected armors (Glass & Indoril) and you'll need to use it on top of the original mod. HiRez Armors Native Styles V2 is not easily available, you'll have to grab it with some fixes on Bethesda's forums (http://forums.bethsoft.com/topic/1441431-relz-hirez-armors-native-styles-v2/). On mods sites like NexusMods, you'll find V1. This mod should work with it too, though it has not been tested. 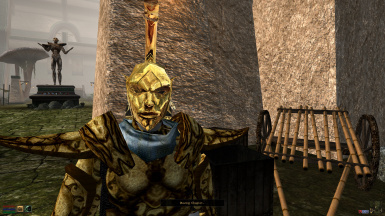 data="/home/abelthorne/.local/share/openmw/mods/HiRez Armors- Native Styles V2"
data="/home/abelthorne/.local/share/openmw/mods/HiRez Armors- Native Styles V2-OpenMW"
The mod is pluginless, you won't have anything to enable in the OpenMW launcher.